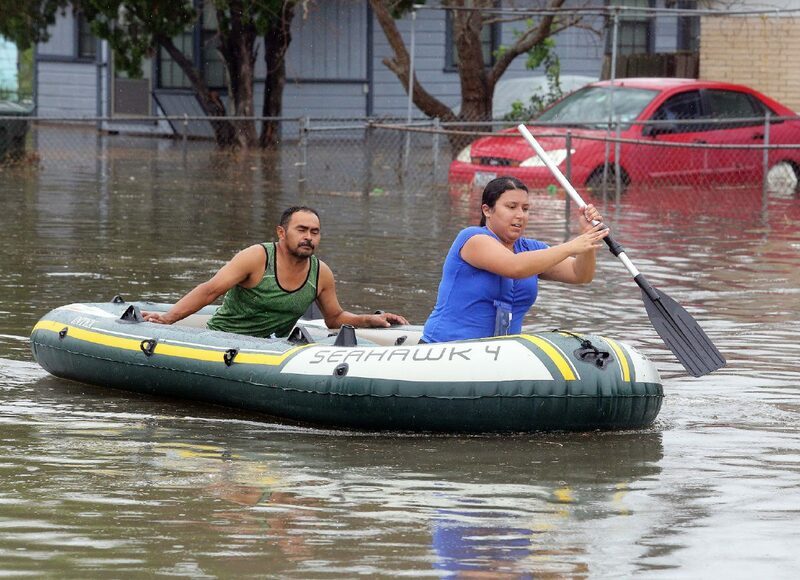 Volunteers Roxanne Arevalo and Martin Morales paddle through the flooded streets after heavy rains caused water to rise and flood whole neighborhoods on Wednesday, June 20, 2018, in Weslaco. As Weslaco residents extract carpet and drenched furniture from inside their homes, the city rolled out dumpsters for bulky trash. > Behind Weslaco City Hall at 255 S. Kansas Ave.
> 1513 S. Westgate Drive.